For much of the iPhone's life Apple has enjoyed a first-mover advantage. At the launch of the first iPhone, Steve Jobs expected the device and OS would give it a multi-year head start over the competition. Indeed that's how the market played out. Although Android was met with some early success, it wasn't until well after the launch of the first Android devices that we started seeing broad, mainstream acceptance of the platform. The iPhone bought Apple time, and together with the iPad it brought Apple a tremendous amount of profit over the years. The trick of course is turning a first-mover advantage into an indefinitely dominant market position, a difficult task when you're only making one device a year. Today we find Apple in a very different position. The iPhone is still loved by a very loyal customer base, but the competition is much stronger than it was back in 2007. The modern smartphone market has also evolved. When Apple introduced the original iPhone with its 3.5" display, Steve called it "giant" on stage. Today even HTC's One mini ships with a 4.3" display. Last year we saw Apple begin to address the changing landscape with the iPhone 5. The 5 saw Apple moving to a thinner, lighter chassis with much better internals and a significantly larger display. While there is market demand for Apple to do the same again, and move to an even larger display, there are some traditions Apple is sticking to. In this case, it's the tradition of the S-update. The iPhone 5s continues Apple’s tradition of introducing a performance focused upgrade for the last year of any new chassis design. The first time we encountered an S-update was with the 3GS, which took the iPhone away from its sluggish ARM11 roots and into the world of the Cortex A8. 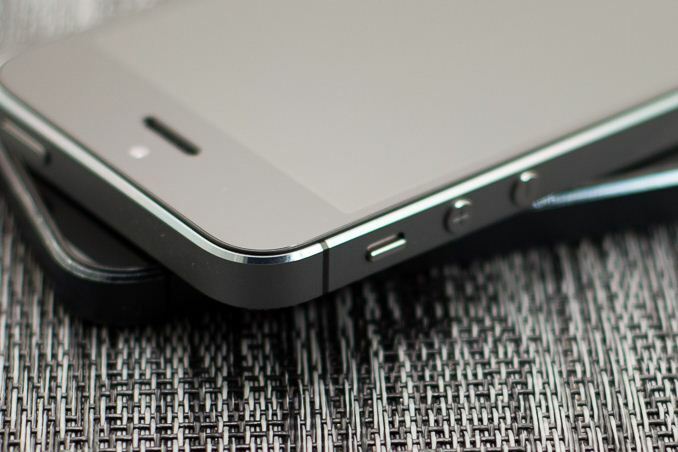 The next S-upgrade came with the iPhone 4S: Apple’s first smartphone to use a dual-core SoC. At the time I remember debate over whether or not a performance upgrade alone was enough to sell a new device, especially one that didn’t look any different. I’m pretty much never happy with the performance I have, so I eagerly welcomed the new platform. Looking back at the iPhone 4 vs. 4S today, I’d say the investment was probably worth it. In preparation for this review I threw iOS 7 on every iPhone that would support it, dating back to the iPhone 4. In my experience, the 4 is a bit too slow running iOS 7 - the 4S really should be the minimum requirement from a performance standpoint. That brings us to the iPhone 5s, the third in a list of S-upgrades to the iPhone platform. Like the S-devices that came before it, the iPhone 5s is left in the unfortunate position of not being able to significantly differentiate itself visually from its predecessor. 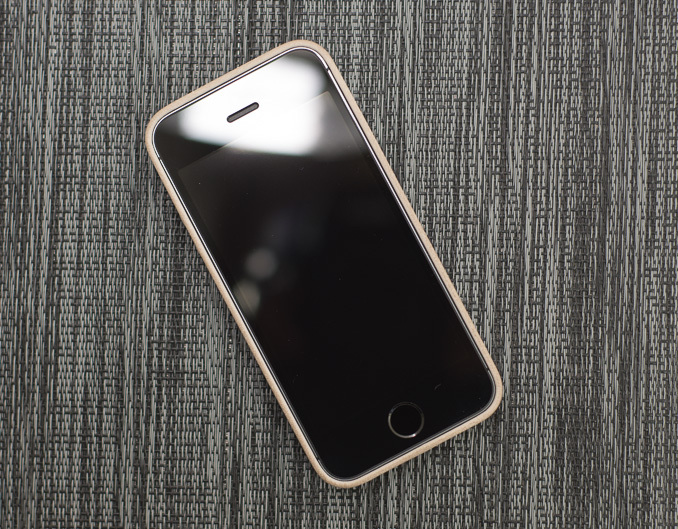 This time around Apple has tried to make things a bit better by offering the 5s in new finishes. 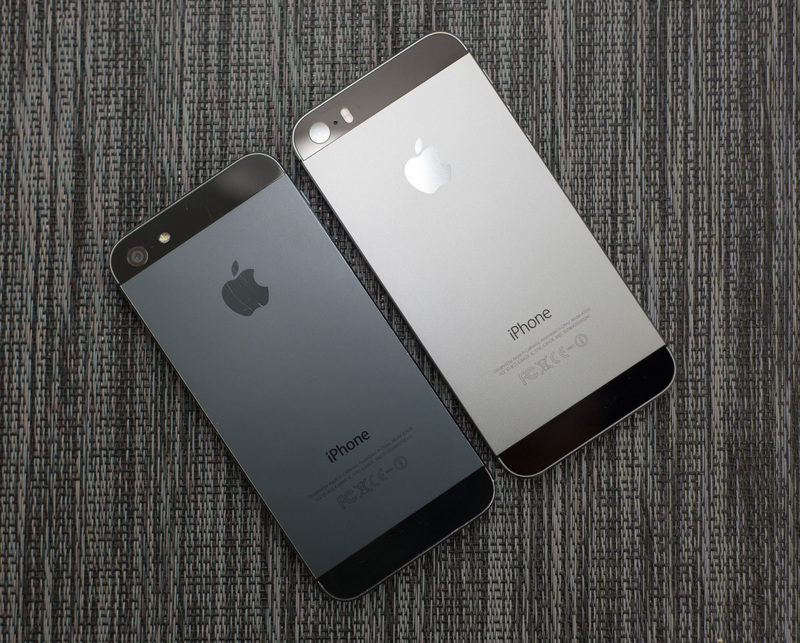 While the iPhone 5 launched in silver and black options, the 5s retains silver, replaces black with a new space grey and adds a third, gold finish. I was sampled a space grey iPhone 5s, which worked out well given my iPhone 5 was black. The new space grey finish is lighter in color (truly a grey rather than a black) and has more prominently colored chamfers. The move to a lighter color is likely to not only offer a little bit of visual differentiation, but also to minimize the appearance of scuffs/scratches on the device. My black iPhone 5 held up reasonably well considering I carry it without a case, but there’s no denying the fact that it looks aged. Interestingly enough, I never really got any scratches on the back of my 5 - it’s the chamfers that took the biggest beating. I have a feeling the new space grey finish will hold up a lot better in that regard as well. The addition of a gold option is an interesting choice. Brian and I saw the gold iPhone up close at Apple’s Town Hall event and it really doesn’t look bad at all. It’s a very subtle gold finish rather than a gaudy gold brick effect. I think gold is likely the phone I’d opt for simply because it’d be very different than everything else I have, but otherwise space grey is probably the best looking of the three devices to me. 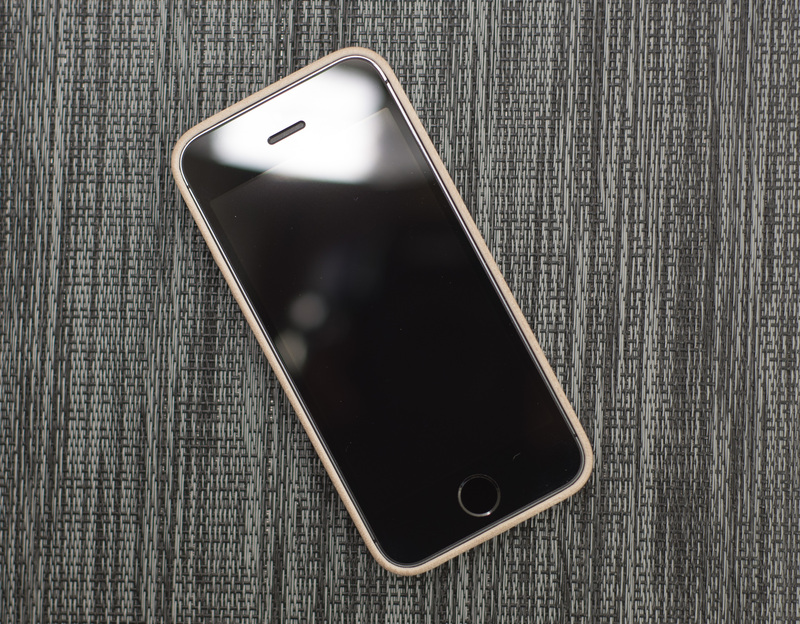 Along with the new finishes come new leather cases to protect the 5s. These cases are designed and sold by Apple, and they are backwards compatible with the iPhone 5 as well. 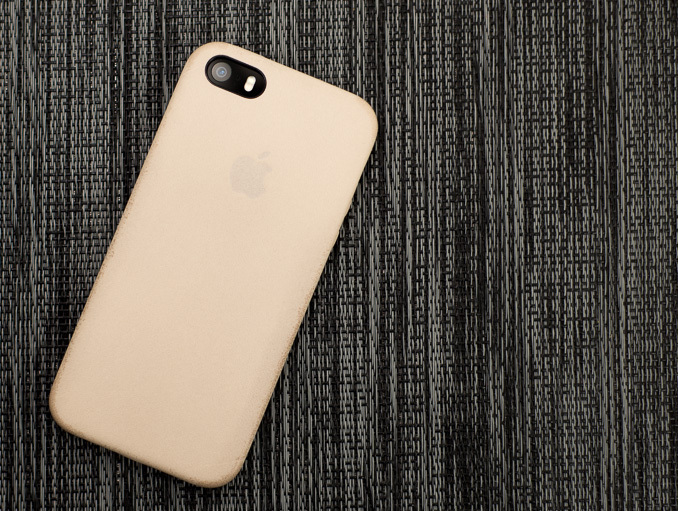 Apple calls them leather cases but I'm not entirely sure if we're talking about real leather here or something synthetic. Either way, the new cases feel great. They've got a very smooth, soft texture to them, and are lined with a suede like material. 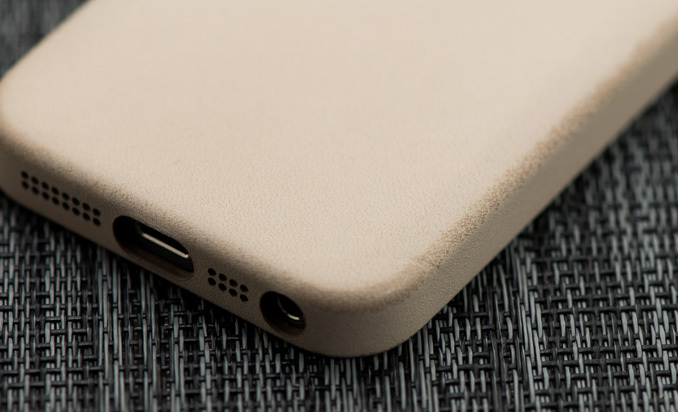 If you're fine with the distressed leather look then it's not a concern, but if you're hoping to keep your case pristine you may want to look at other cases. If you want a more affordable & more rugged option, Brian turned me on to the Magpul Field case which should work perfectly with the iPhone 5s. 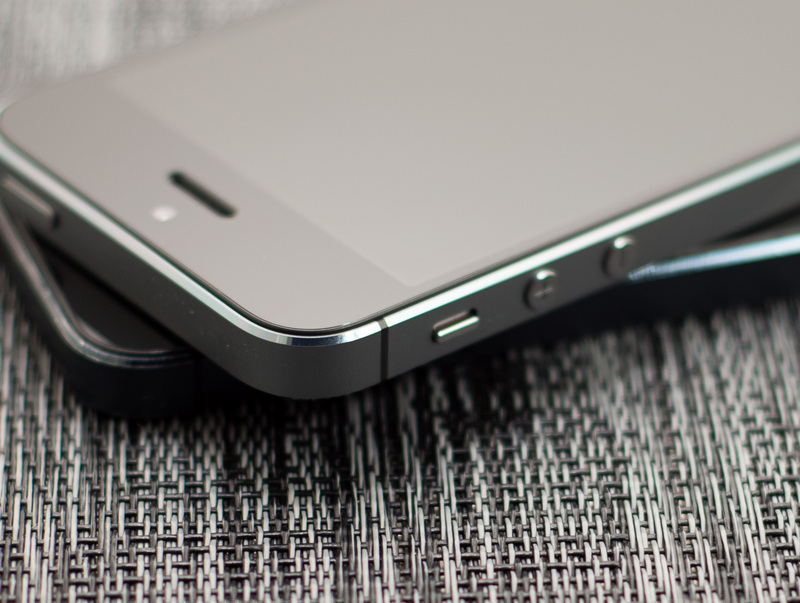 The iPhone 5s design remains one of the most compact flagship smartphones available. The move to a 4-inch display last year was very necessary, but some will undoubtedly be disappointed by the lack of any further progress on the screen dimension front. A larger display obviously wasn’t in the cards this generation, but I have a strong suspicion Apple has already reconsidered its position on building an even larger iPhone. Part of the problem is the iPhone’s usable display area is very much governed by the physical home button and large earpiece/camera area at the top of the device. Building a larger iPhone that isn’t unwieldy likely requires revisiting both of these design decisions. It’s just too tall of an order for a refresh on the same chassis. Brian often talks about smartphone size very much being a personal preference, and for many the iPhone 5 continues to be a good target. If you fall into that category, the 5s obviously won’t disappoint. Personally, I would’ve appreciated something a bit larger that made better use of the front facing real estate. The 5s’ width is almost perfect for my hands. I could deal with the device being a little larger, with the ideal size for me landing somewhere between the iPhone 5 and the Moto X. It remains to be seen the impact display size has on iPhone sales. Anecdotally I know a number of die hard iPhone users who simply want a larger display and are willing to consider Android as a result. I still believe that users don’t really cross shop between Android and iOS, but if Apple doesn’t offer a larger display option soon then I believe it will lose some users not because of cross shopping, but out of frustration. As a refreshed design, the iPhone 5s carries over all of the innovations we saw in the 5 last year. The iPhone 5s features the same Lightning connector that debuted on the iPhone 5, and has since been extended to the iPad lineup as well as the new iPods. As with all other S-upgrades, the biggest changes to the iPhone 5s are beneath the aluminum and glass exterior. The 5s’ flagship feature? Apple’s new A7 SoC. The A7 is the world's first 64-bit smartphone SoC, and the first 64-bit mobile SoC shipping in a product (Intel’s Bay Trail is 64-bit but it won’t ship as such, and has yet to ship regardless). In addition to the new 64-bit SoC Apple upgraded both cameras in the iPhone 5s and added a brand new fingerprint sensor called Touch ID. Of course the iPhone 5s is one of the first new iPhones to ship with iOS 7 from the factory. The iPhone 5s also breaks with tradition in a couple of ways. The 5s is the first iPhone in recent history to not be offered up for pre-order. Apple expects demand for the iPhone 5s to severely outstrip supply, and as a result won't be accepting pre-orders on the 5s. The other big change is what happens to the previous generation iPhone. In the past, Apple would discount the previous generation iPhone by $100 on-contract and continue to sell those devices at low capacity points. A two-generation old iPhone was often offered for free on-contract as well. 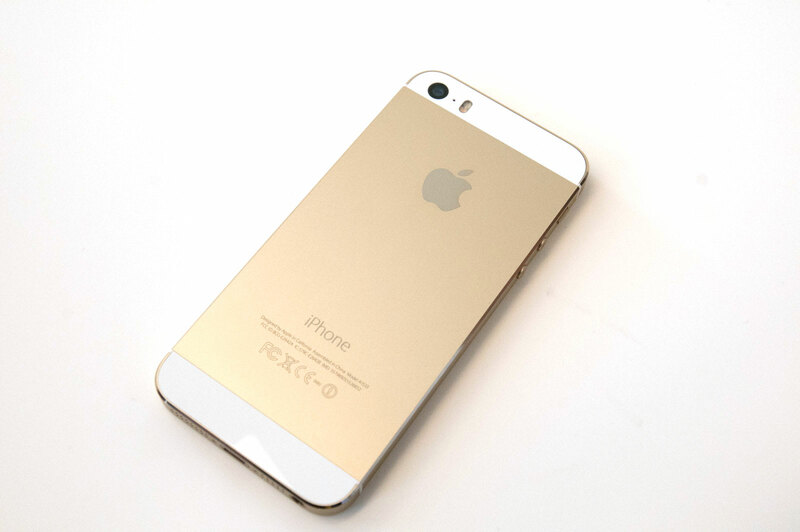 This time, the iPhone 5s replaces the iPhone 5 at the high end, but the iPhone 5 ceases production. 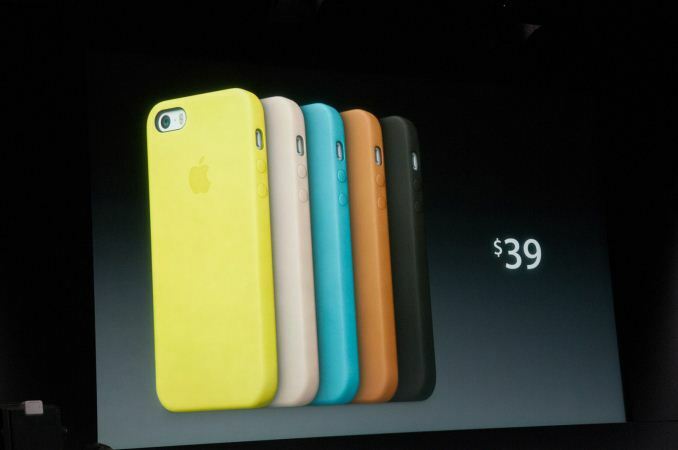 Instead, the 5 is replaced with a cost reduced version (the iPhone 5c). As the glass & aluminum iPhone 5/5s chassis likely doesn't scale well in price, coming up with a new polycarbonate design for slightly lower price points makes sense. I have written a separate piece on the iPhone 5c as I have more than enough to talk about with the iPhone 5s in this review. I'll start with the big ticket item: Apple's 64-bit A7 SoC. Benchmarks(GFXBench 2.7,3DMark.Basemark X.etc.) are AArch64 version? There are 30~40% performance gap between v32geekbench and v64geekbench. BT's 32-bit result includes hardware accelerated AES, which skews its score (without it, its score is ~936). The 64-bit A7 result does also use hardware acceleration, so it is more comparable. Yes BT will get a speedup from 64-bit as well, but won't be nearly as much as A7 gets: its 32-bit result already has the AES acceleration, and x64 nearly isn't as different from x86 as A64 is from A32. However the interesting things is that not even in 32-bit A7 wins by a good margin, but that it wins despite running at almost half the frequency of Bay Trail... Forget about Bay Trail, this is Haswell territory - the MacBook Air with the 15W 3.3GHz i7-4650U scores 3024 INT and 3003 FP. Why does the frequency matter? If the TDP of the chips are similar (Bay Trail was tested and verified by Anand as using 2.5W at the SoC level under load), who gives a flip about the frequency? If Apple wanted to double the frequency of the chip, they'd need something on the order of 4x the amount of power it already consumes (assuming a back-of-the-napkin quadratic relationship, which is approximately correct), putting it at ~6-8W or so at full load. That's assuming such a scaling could even be done, which is unlikely given that Apple built the thing to run at 1.3GHz max. You can't just say "oh, I want these to switch faster, so let's up the voltage." There's more that goes in to the ability to scale voltage than just the process node you're on. Now, I will agree that this does prove that if Apple really wanted to, they could build something to compete with Haswell in terms of raw throughput. Next year's A8 or whatever probably will compete directly with Haswell in raw theoretical integer and FP throughput, if Apple manages to double performance again. That's not a given since they had to use ~50% more transistors to get a performance doubling from the A6 to the A7, and building a 1.5B transistor chip is nontrivial since yields are inversely proportional to the number of transistors you're using. Frequency & process matters. Current phones use about 2W at max load without the screen (see recent Nexus 7 test), so the claimed 2.5W just for BT is way too much for a phone. That means (as you explained) it must run at a lower frequency and voltage to get into phones - my guess we won't see anything faster than the Z3740 with a max clock of 1.8GHz. Therefore the A7 will extend its lead even further. According to TSMC 20nm will give a 30% frequency boost at the same power. So I'd expect that a 2GHz A7 would be possible on 20nm using only 35% more power. That means the A7 would get 75% more performance at a small cost in power consumption. This is without adding any extra transistors. Frequency and process matter in that they affect power consumption. If Intel can get Bay Trail to do 2.4GHz on something like 1.0V, then the power should be fine. Current Haswell stuff tops out its voltage around 1.1V or so in laptops (if memory serves), so that's not unreasonable. All of this assumes Geekbench is valid for comparing HSW on Win8 to ARMv8/Cyclone on iOS, which I have serious reservations about attempting to do. The other issue I have is this: you're talking about a 50% clock boost giving a 100% increase in performance if we look at the Geekbench scores. That's simply not possible. Had you said "raise the clock to 1.6-1.7GHz and give it 4 cores," I'd be right behind you in a 2x theoretical performance increase. But a 50% clock boost will never yield a 100% increase with the same core, even if you change the memory controller. Also, somehow your math doesn't add up for power... Are you hypothesizing that a 2GHz A7 (with 75% of the performance of Haswell 15W, not the same - as per Geekbench) can pull 2.6W while Haswell needs 15W to run that test? Granted, Haswell integrates things that the A7 doesn't. Namely, more advanced I/O (PCIe, SATA, USB, etc. ), and the PCH. Using very fuzzy math, you can claim all of that uses 1/2 the power of the chip. That brings Haswell's power for compute down to 7-8W, more or less. And you're going to tell me that Apple has figured out how to get 75% of the performance of a 7W part in 2.6W, and Intel hasn't? Both companies have ~100k employees. One is working on a ton of different stuff, and one makes processors, basically exclusively (SSDs and WiFi stuff too, but processors is their main drive). You're telling me that a (relatively) small cadre of guys at Apple have figured out how to do it, and Intel hasn't done it yet on a part that costs ~6x as much after trying to get deep into the mobile space for years. I find that very hard to believe. Even with the 14nm shrink next year, you're talking about a 30% power savings for Intel's stuff. That brings the 15W total down to 10.5W, and the (again, super, ridiculously fuzzy) computing power to ~5-6W. On a full node smaller than what Apple has access to. And you're saying they'd hypothetically compete in throughput with a 2.6W part. I'm not sure I believe that. Then again, I suppose theoretical bandwidth could be competitive. That's simply a factor of your peak IPC, not your average IPC while the device is running. I don't know enough about the low level architecture of the A7 (no one does), so I'll just leave it here I guess. The sort of "simple" tweaks I was thinking of are: an improved memory controller and prefetcher, doubling of L2, larger branch predictor tables. Assuming a 30% gain due to those tweaks, the result is a 100% speedup at 2GHz (1.3 to 2.0 GHz is a 54% speedup, so you get 1.54 * 1.3 = 2.0x perf). The 30% gain due to tweaks is pure speculation of course, however NVidia claims 15-30% IPC gain for similar tweaks in Tegra 4i, so it's not entirely implausible. As you say a much simpler alternative would be just to double the cores, but then your single threaded performance is still well below that of Haswell. You can certainly argue some reduction in the 15W TDP of Haswell due to IO, however with Turbo it will try to use most of that 15W if it can (the Air goes up to 3.3GHz after all). have no illusions that Intel is infallible. Stuff like Larrabee and the underwhelming GPU in Bay Trail prove that they aren't. I just seriously doubt that Apple could beat Intel at its own game. Specifically, in CPU performance, which is an area it's dominated for years. It's possible, but I find it relatively unlikely, especially this early in Apple's lifetime as a chip designer.